See who's talking about Brendan Joseph all over the world! Our luxury woven silk scarves are the perfect addition to every considered wardrobe. 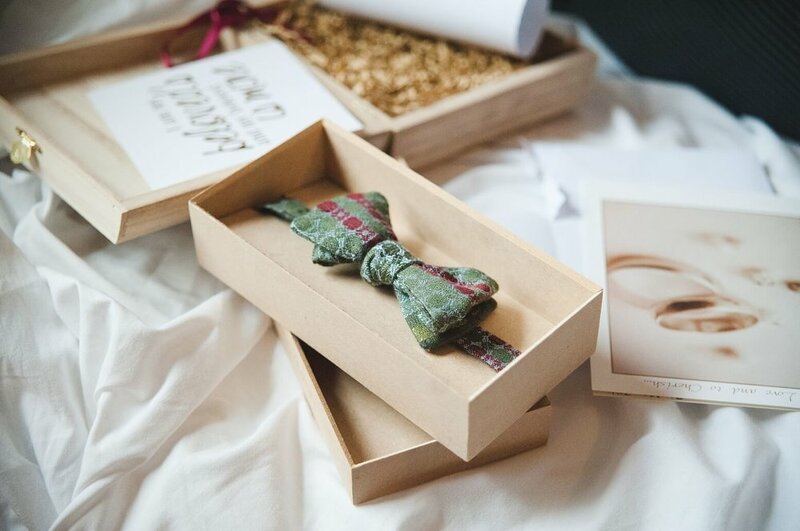 Our bow ties and neckties make exquisite gifts for the special men in your life, while our shawls wrap the woman you love in luxury. 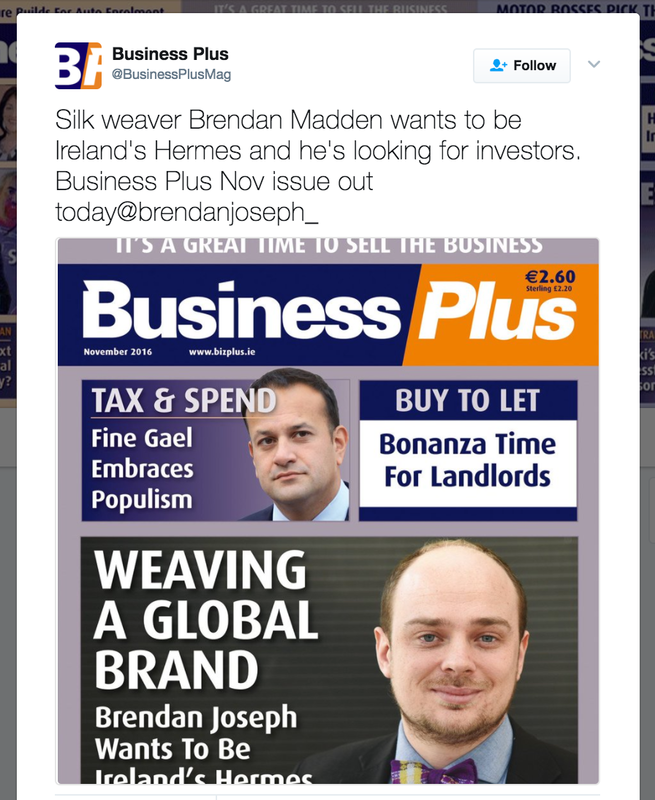 Brendan Joseph was one of the selected Irish design companies to participate in a programme which gave expert insights and advice on how best to run our E-commerce site. The IE Domain Registry looks after .ie domains, which specifies that a company does business in Ireland. See the videos below featuring Brendan explaining how the programme benefited Brendan Joseph, as well as a video giving an overview of the programme itself, promoting sector-by-sector support. IE Domain Registry's OPTIMISE Programme is an initiative that empowers small businesses to improve their online presence, hone their digital capabilities and grow their e-commerce sales. See how one SME benefited from participating in our OPTIMISE programme. IE Domain Registry's OPTIMISE Programme is an initiative that empowers small businesses to improve their online presence, hone their digital capabilities and grow their e-commerce sales. See how IE Domain Registry teamed up with the Design & Crafts Coucil of Ireland to e-enable some SMEs. Monogramming available in-store on all products, including previous purchases. Margaret Molloy created #WearingIrish as a passion project to promote Irish Design internationally. She created a curated directory of designers, which we were delighted to be part of back in March, and now she's made the ultimate Christmas gift guide that features the best of Irish Design to help you find something for the hard-to-buy-for person on your list. We're delighted to be featured in the 'Scarves' section. Lovely shout-out from AIB Business promoting our new store & design studio on South Anne Street, Dublin 2. Brendan Joseph's illustration of the new shop front on South Anne Street, Dublin 2. Gifts for the Discerning Man - Forget about socks and surprise the men in your life with something more considered this year. Brendan Joseph 'Howth Head' silk self-tie bow tie. November 30th, 2017. Brendan shares his insights on how to turn your artistic passion into a full-time career, from concept to production, retail relationships to bank managers. Brendan Joseph spoke at the Dublin Entrepreneurs Anonymous' 'Last Tuesday' meetup on 23 October 2017, speaking about what he's learnt as an entrepreneur in a creative business. Brendan Joseph was nominated alongside accessories brands Simon Carter and Paul's Boutique, at the prestigious Drapers Independents Awards, which celebrates excellence in the independent fashion industry in Ireland and the UK. At the awards ceremony on 13 September 2017, Browns founder Joan Burstein, 'Mrs B.' was honoured with a lifetime achievement award for her work. Irish Country Magazine partnered with Bord Bia for their inaugural Irish Made awards, celebrating products that are designed and made in Ireland. Brendan Joseph was nominated in the 'Accessories' category, as revealed in the July/August 2017 issue, which features 'Suits' star Sarah Rafferty on its cover. 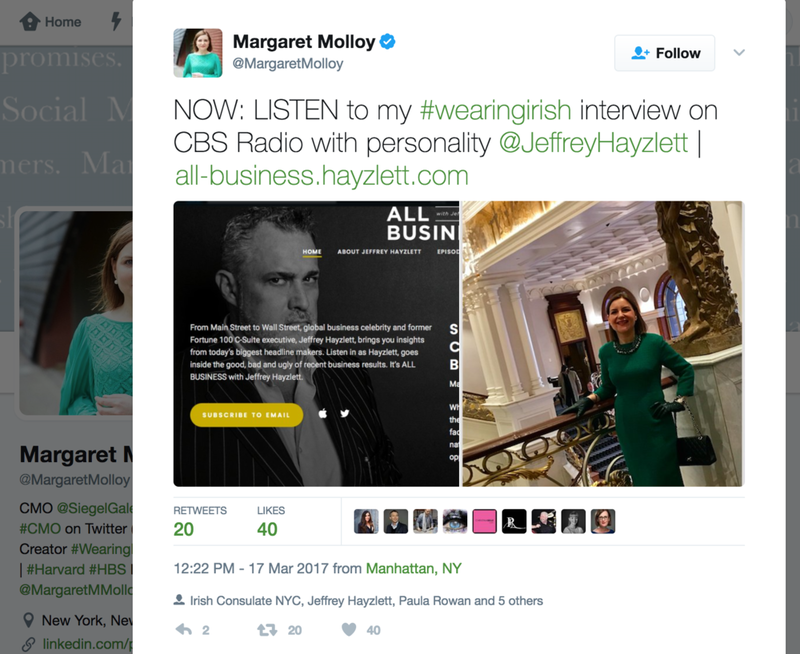 Margaret Molloy interviews Jeffrey Hayzlett about her #WearingIrish campaign to highlight Irish fashion designers' work during the month of March. Margaret included Brendan Joseph in her directory of designers, and Jeffrey became a happy customer. 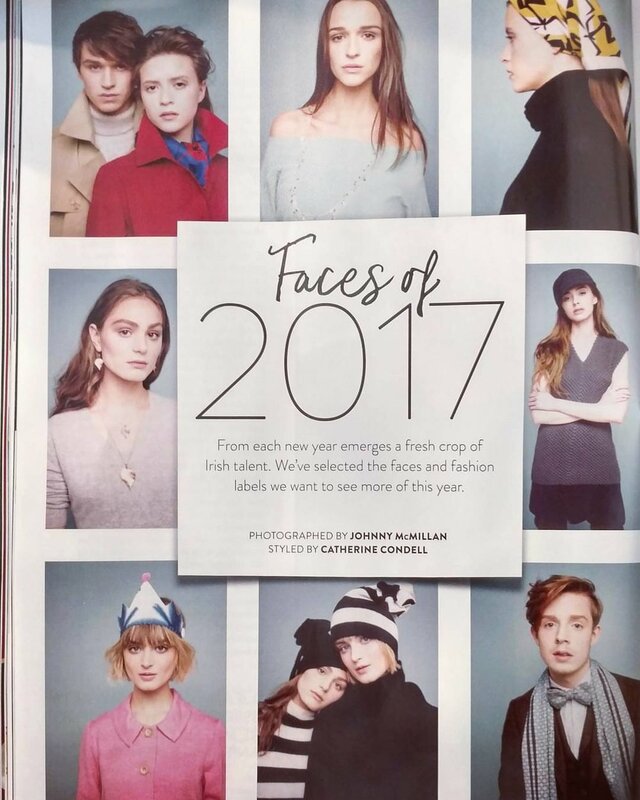 The January 2017 issue of IMAGE magazine, guest edited by Amy Huberman, features our Howth Head all-silk bow tie and scarf in the 'Faces of 2017' spread, styled by Catherine Condell, highlighting up-and-coming models wearing Irish fashion. Brendan Joseph's 'Howth Head' bow tie was featured in The Irish News' article about the Belfast Designers in Detail pop-up, December 2016. Dublin based Brendan Joseph creates scarves, shawls and bow ties from silk, cashmere and linen. He draws his inspiration directly from the environment around him. He draws on the colour reflections of Belfast Lough and the Dark Hedges. His shawls are loved by women. November 2016 - Brendan opens up about what it takes to run a design-led business in Ireland, sharing the lessons he's learned along the way.